Habitat - Wet flatwoods, swamps, moist meadows. 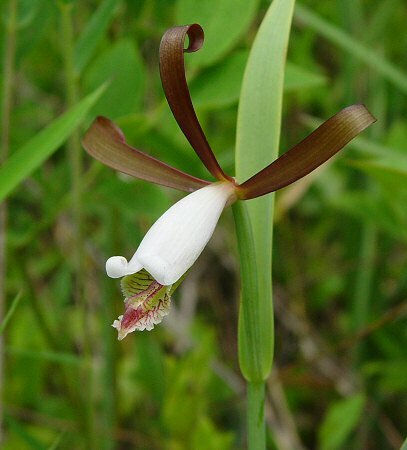 Other information - This attractive and uncommon species has been reported from a handful of counties in Alabama but vouchered specimens are rare. The plant can probably be found in southern counties with wet pine-flatwoods communities. 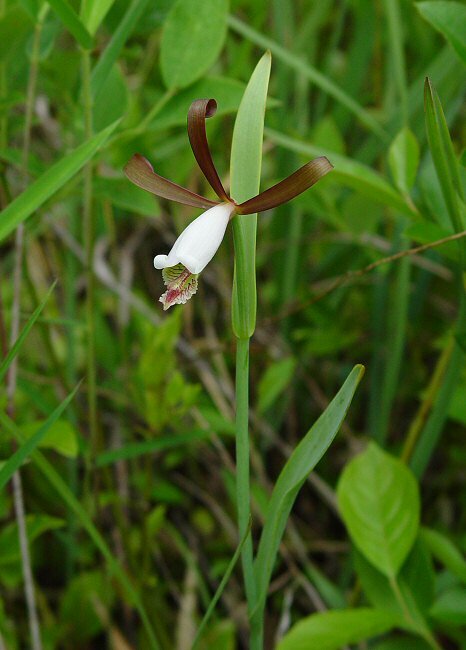 This species can be identified by its habitat, spreading, dark-colored sepals, and white petals. 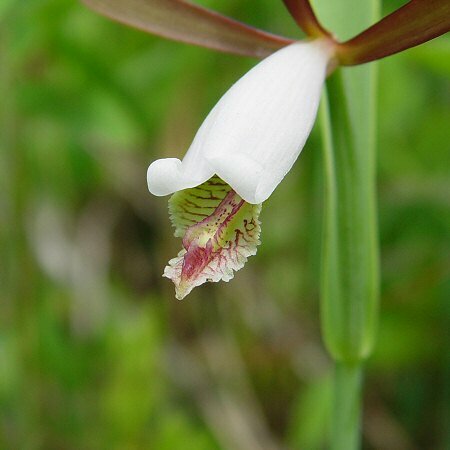 The genus name Pogonia derives from the Greek "pogo(n)" meaning "bearded" referring to the bearded lip of some species. 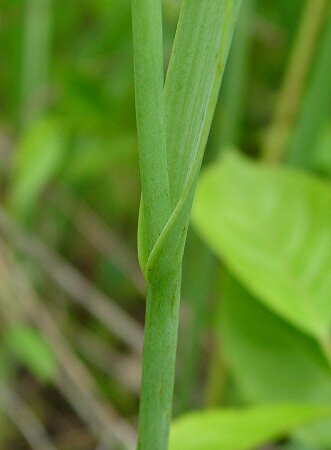 The species epithet divaricata derives from the Latin "divaric(a)" meaning "spread apart" referring to the sepals. Some authors recognize a similar plant, P. bifaria (Fern.) P.M. Br. & Wunderlin based on corolla lip size (21-33mm long compared to 34-56mm long for P. divaricata). Photographs taken at Fort Benning, GA., 5-15-05.